Stir in all the glittering glamour in the fashionable SKECHER Street Side Street - Awesome Sauce shoe. 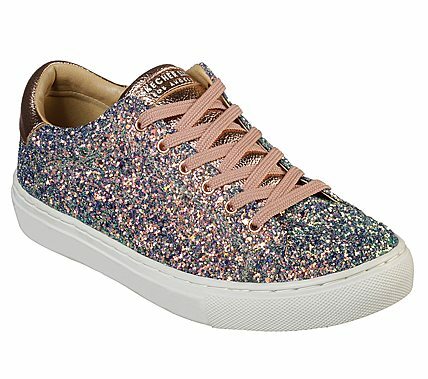 Textured rock glitter and metallic synthetic upper in a lace up classic-style sneaker with stitching accents and super glittery effect. Air Cooled Memory Foam wedge insole.